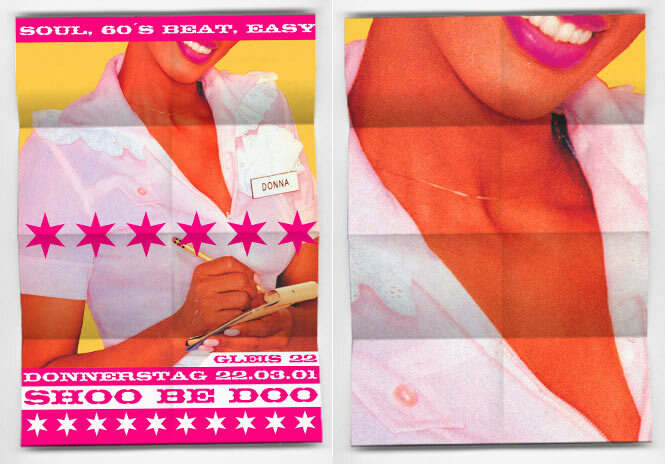 Selection of sweet flyer & posters for "Soul & 60´s Beat" events at the "Gleis 22" in Münster. All of them are "low budget" produced. SW-Copies, or if the money allowed it Splash-Prints. Some of them were also published as small animations in the web at the infectious-grooves homepage.